I saw instagram feed, long skirt are so trendy now in this time. So, I started to search it for me and recommended to you best long skirt in 2018. And for the website I used Zara as my favorite place to shop. 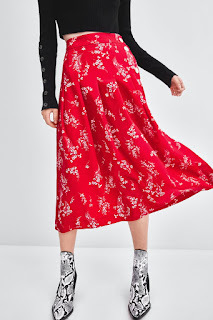 And, here's my recommending long skirt for you. 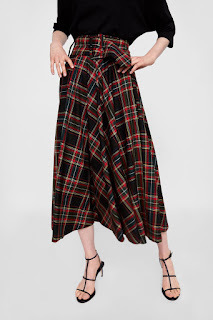 This is my favorite skirt from Zara, this check design and the colors are so great for outfit, with a buckle lined in matching fabric, a loose a-line silhouette. Make this skirt look perfect and gorgeous when you wear it. Floral print skirt is the best one for your vintage outfit. With lined buttons in the front. Features a front slit in the centre of the hem makes this skirt looks beautiful and sweet. This pencil skirt is the best one for office outfit and you can wear this skirt for daily outfit too. And, this skirt can be fitted in your body and follow your body shapes. 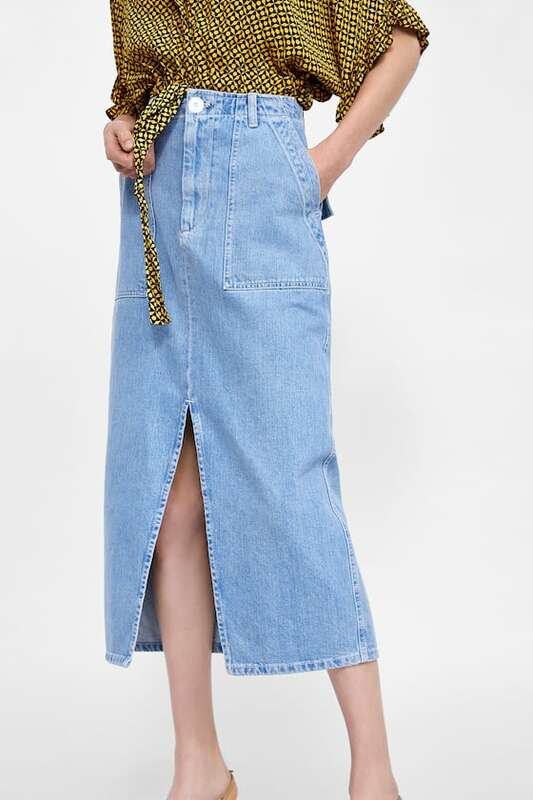 Back to 90's where you can see, almost all girls wear this kind of skirt. And this looks like a modern one. Features a loose a-line silhouette and side zip fastening hidden in the seam. 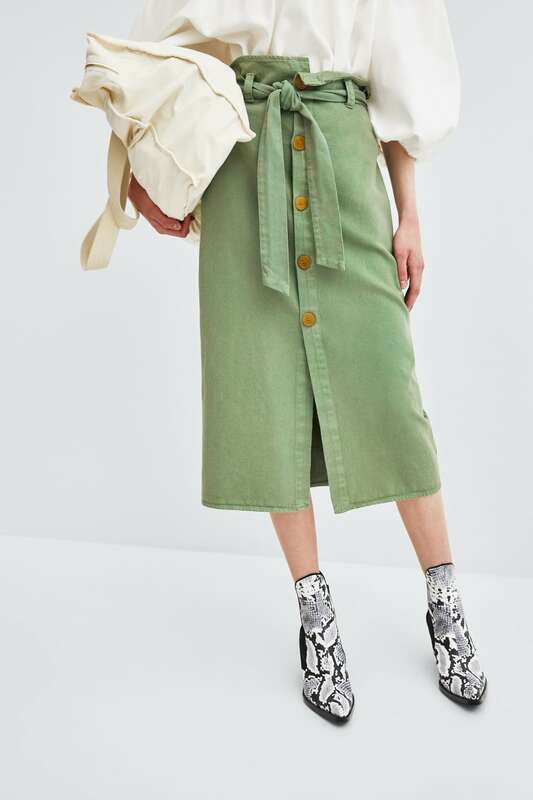 And the belt accessories make this skirt looks charming and cute. This is look like K-style and this high waist skirt with contrasting buttons in the front. 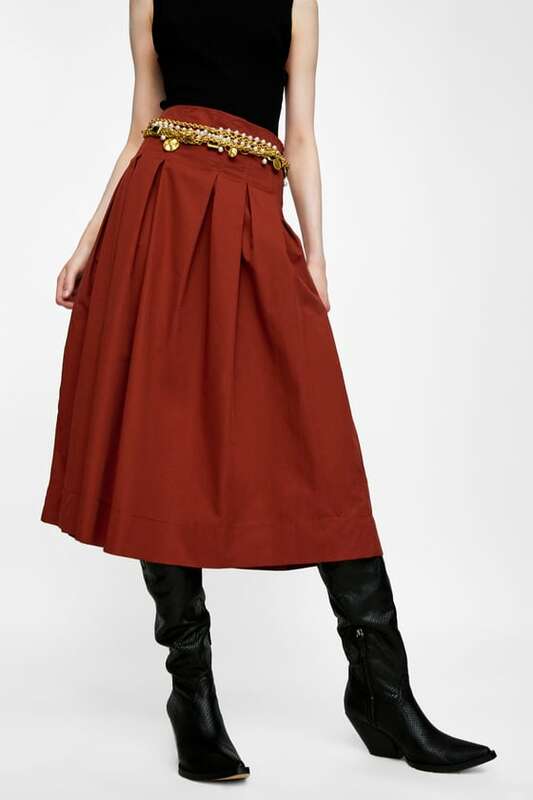 A tied belt around the waist with belt loops and a front slit. And the color of this skirt can matching with any colors especially bright shirt colors or pastel. 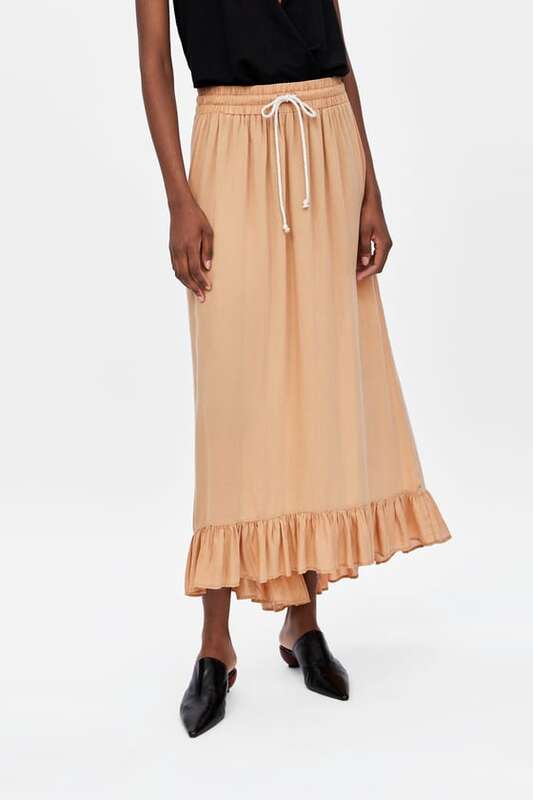 I saw this long skirt in Instagram, and very trendy now, you can wear it on beach or maybe your daily outfit. With hem design make this skirt looks cute. But, for this skirt color, I will be more recommended you use white or black tops. 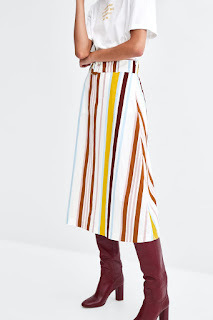 The stripe design make this skirt looks elegant and gorgeous when you wear it, with belt on waist. But, if you use simple tops will be matching this skirt. This skirt will look cute for your summer outfit. The gathered detail and tie fastening in the front makes this skirt looks cute. 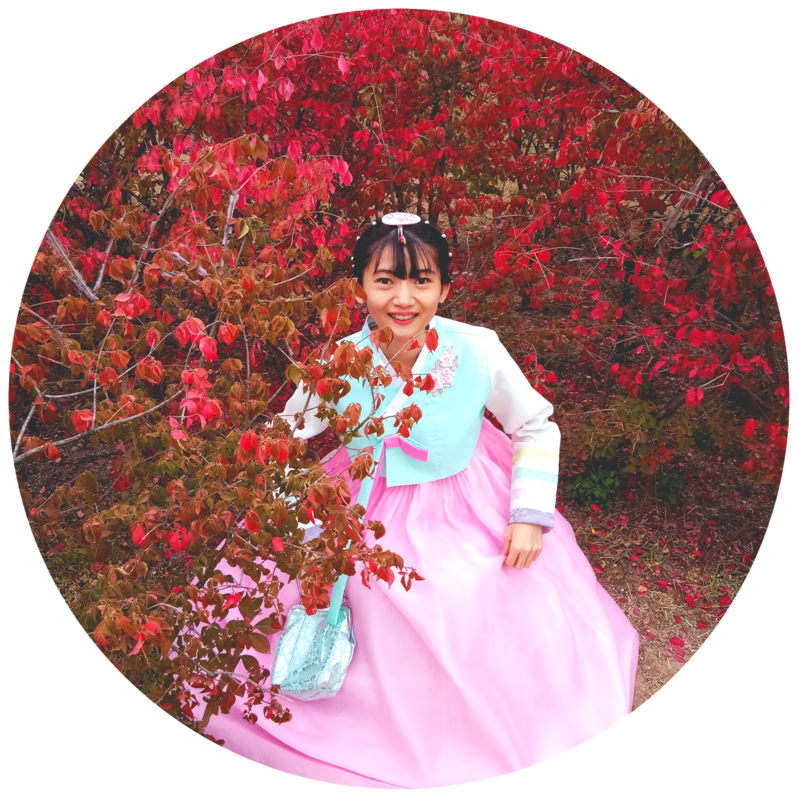 Red is the best color for taking a picture because red color can make photo display and lighting in photo looks better, you can use white/black tops to style it. Rock your style with this denim skirt. 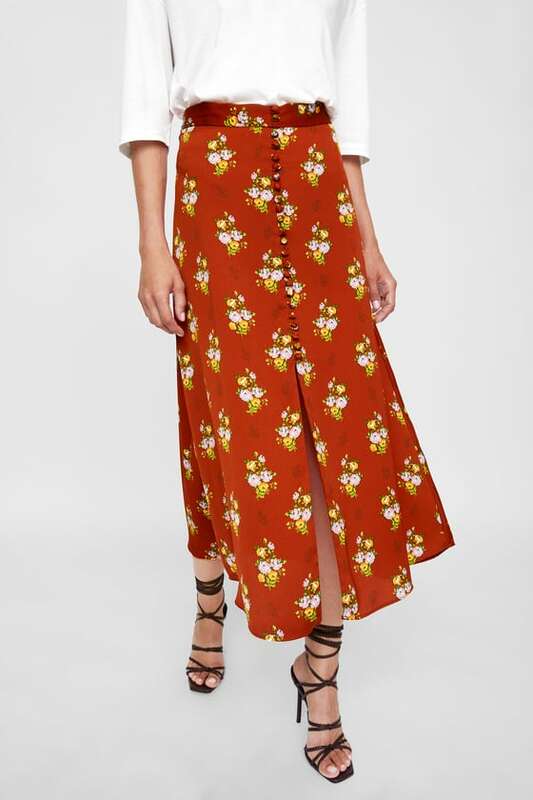 The open slit in the front makes this skirt looks better when you wear it and for the top you can wear t-shirt or blouse. And, this skirt has a front and back patch pocket. So, you can save your money or phone. 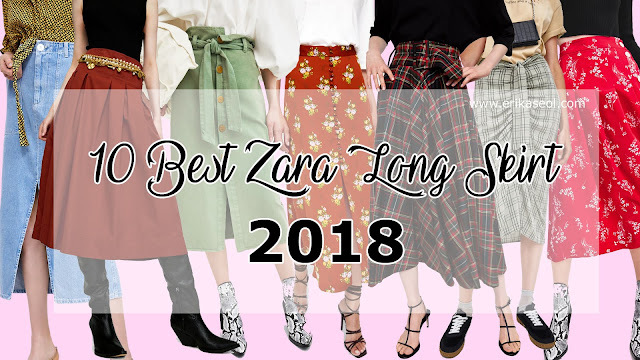 Which one is your best long skirt style from no 1-10? Share your thought, I want to hear it ^^. I'll be happy if you share to me your favorite long skirt pattern and design. See you in my next posting, hope you enjoy reading this article. You picked the very best skirts! The check one is my favourite too! Will be great to wear it in autumn. the third and fifth skirt are great! I love long and midi skirts! This is a great selection. Amazing collection, I love them all!